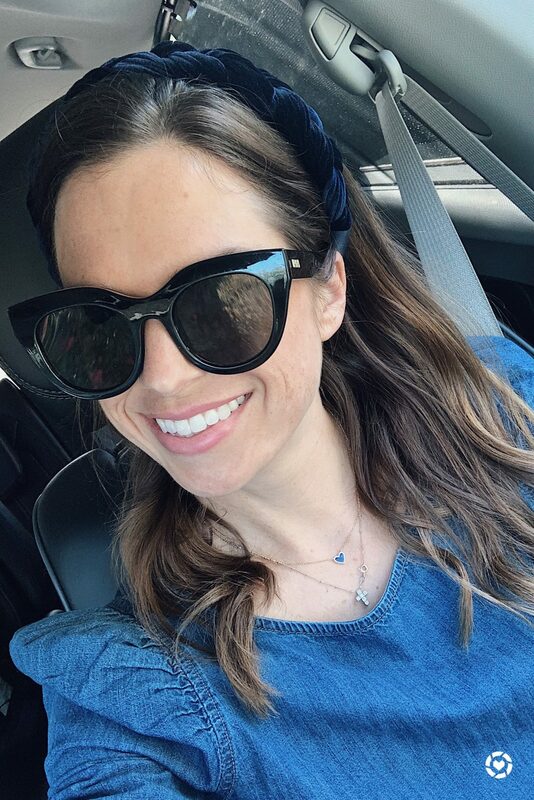 Please tell me that I’m not the only one who’s inner Blair Waldorf is doing the happiest happy dance that headbands are a thing again! And totally not frowned upon in your 30s!?!? Since posting this NAVY BRAIDED VELVET HEADBAND, at least 10 people a day have clicked on and purchased it. While technically, yes, it is a headband, but one of my favorite accounts to follow, Elizabeth Holmes, of So Many Thoughts about the Royals, refers to what Kate Middleton often wears on her head, as a hat band. Not a hat, but not quite a headband, this is normally a thicker piece of fabric adoring her gorgeous head and that to die for hair. When I spotted this navy one, I immediately thought that if I had it, I would be channeling my inner Kate. At only $25 and a bunch of colors, I couldn’t recommend it enough. I have included a bunch of other selections of cute headbands, at all price points.